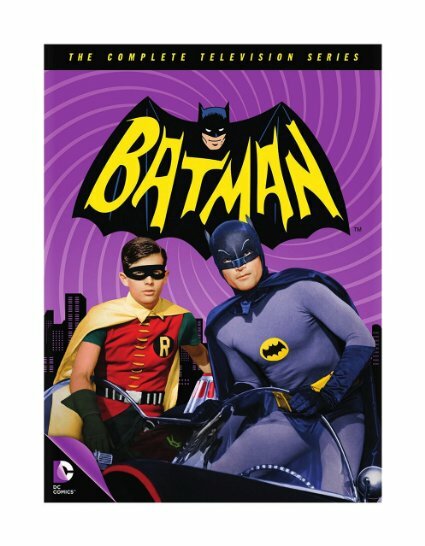 Now you can own your favorite classic television programs! 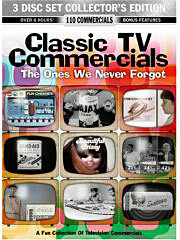 TV never looked so great! 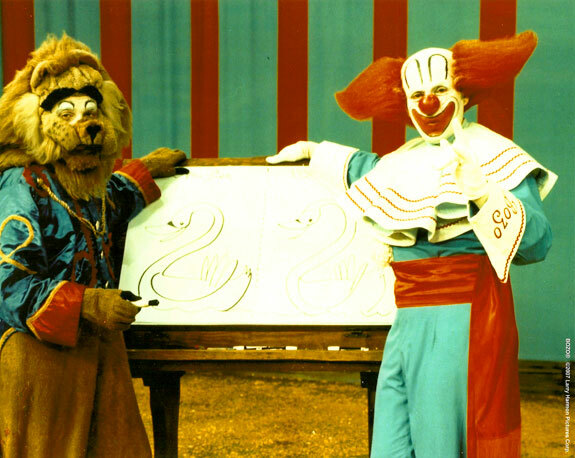 During the 1960s, the Bozo the Clown show was a mainstay of children’s programming. 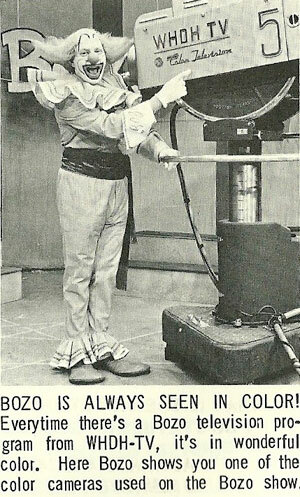 While there were several different men playing Bozo in various TV markets across the United States, only one actor was the national face of the whacky but good-natured clown. 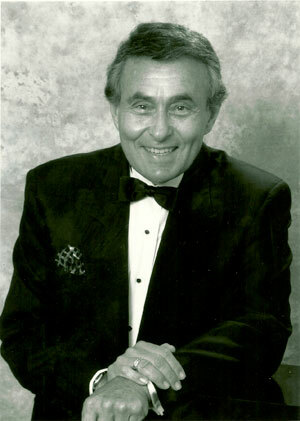 He was radio and TV announcer actor Frank Avruch. The Boston-based Avruch was personally selected for that distinction by entrepreneur Larry Harmon. A tireless Bozo franchise machine, Harmon made the decision to syndicate the series to exercise greater quality control over his ultra-profitable empire. When the Boston series became highly successful, Harmon made Avruch the primary Bozo. A member of the Massachusetts Broadcasters Hall of Fame, Frank Avruch, now 84, lives in suburban Boston. He maintains a web site, Boston’s Man About Town, where fans may read his recommendations for the best of Boston nightlife – and where they may also purchase an autographed photo of Bozo. Avruch spoke to TVparty! in August of 2010, at the time that Harmon’s posthumous memoir, The Man Behind the Nose, appeared. The following is an edited version of the two-hour conversation with TVparty! correspondent and Boston native Jay Blotcher. Jay Blotcher: I wanted to start with your beginnings in television. 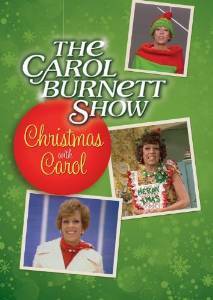 Did you always want to have a career in television? Or did you fall into it? Frank Avruch: No, originally I wanted to go into the theatre. I did it while I was in high school and won all kinds of awards and spent a season in summer stock. JB: And where was summer stock? Frank Avruch: In Gloucester, Massachusetts. The Gloucester School of the Theatre And that was 1945. I think, [laugh], we went there because they needed male actors. [laugh] And so they gave out scholarships so you didn’t have to pay – this was where most people that didn’t have the experience would be an intern and they’d just work there. JB: How many shows were you involved in that year? Frank Avruch: Oh, probably about six or seven. JB: Did this include musical theatre? Frank Avruch: It was regular drama theatre. We did You Can’t Take It With You. I played the Russian. And a few others. I don’t remember. That was a long time ago. The theatre is no longer around. It was in Rocky Neck, which is a real summer haven in Gloucester. But anyway, just to make a long story short, my folks insisted, You have to have some of education. And I love to write so I decided to study journalism. I started in the University of Missouri. I was out there for about two-and-a-half years and then transferred back to Boston University because it was a little far to go and the costs of traveling. And my folks found a new school at Boston University called The School of Public Communications which combined radio, television, journalism, public relations, everything. So I ended up there and I concentrated on radio. And I worked for a while in radio at WBOS while I was finishing up at BU. And then I was drafted into the Army for two years in 1950. I was in a Special Services Unit assigned to put on shows. We were supposed to bring a little touch of home to the people overseas. We never got overseas, unfortunately, but we toured around the United States. I came back and I worked in Worcester, Massachusetts for three years, doing news and being a disc jockey and that was ’52 to ’55. In 1955, I auditioned for a summer replacement job at WHDH Radio. And then they split the staff and they took half of us into the TV side. So I went into the television side, being a TV booth announcer. This was before everything was automated. I made announcements on the breaks between The Jack Paar Show. And then this guy from Hollywood, Larry Harmon, came to town. And he had a concept that he sold our general manager. 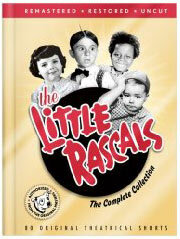 He owned the series Bozo the Clown, which was a cartoon series originally for Capitol Records. He bought the rights in perpetuity to Bozo the Clown and came up with the idea of someone dressing as Bozo and promote the cartoon series. So I auditioned out of boredom, to be honest with you. They had the Bozo record and I went home and tried to get the voice of the character down as best I could. I auditioned and, as luck would have it, I was picked to do the character. It started in a reconditioned radio studio on the eighth floor of the Paine Furniture building in downtown Boston. We started with maybe 20 kids in the audience. That’s all we could fit in there for a while. And it was like Topsy: it just grew and grew and grew. And it eventually mushroomed into The Bozo Show. We moved to at larger TV studios on William Morrissey Boulevard and we had about a hundred kids a day. And even though they didn’t have to pay for the tickets, there sometimes was a year’s wait to get into the show. For whatever reason, it just sort of took off. We were on at a wonderful time: we were on at 5 o’clock at night. Can you imagine anybody putting a kid’s show on now at 5 o’clock? It was a perfect time for parents that needed a little rest; they would sit the kids in front of the TV. And the audiences grew and grew and grew. I did it for 12 years [1958 to 1970]. So that, [laugh] in a nutshell, is the evolution of how I got into Bozo. JB: Do you recall your first time meeting Larry Harmon? Frank Avruch: Yes, he came for the auditions. JB: Any memory of what that audition was like? Did you sing, did you tell jokes? Frank Avruch: I just took his sign-off that is [assumes Bozo voice and laugh] “Remember what your friend Bozo always says” – and did that silly Bozo laugh. And that’s it. [They asked me] can you sing? Can you dance? And I said, of course, yes to everything. JB: What was the formal name of the show? 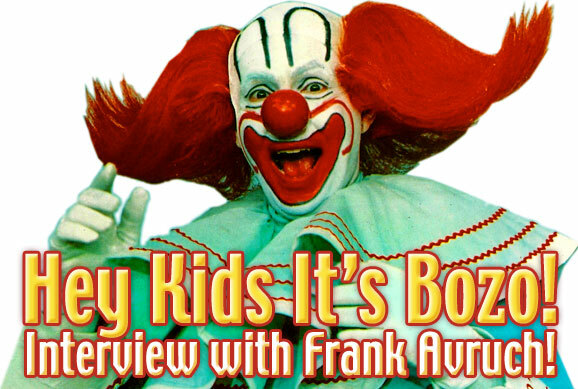 Frank Avruch: Oh, at that time it was just Bozo the Clown. 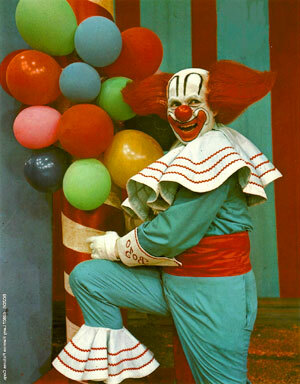 And Larry Harmon called it Bozo’s Big Top when we syndicated the show. I met Larry Harmon and we sort of hit it off. He was a real character. 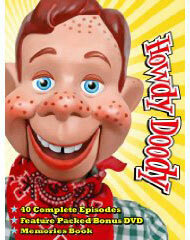 He was Bozo personified; he believed that this character was the greatest thing since white bread. And he was a good salesman obviously. So he came in and he stayed around awhile until we just got the show on the air. His main purpose, his ulterior motive, basically – [laugh] it sounds terrible now -- was to sell product. Because he owned the name Bozo and then there was every kind of [merchandise]: Bozo toys, Bozo dolls, Bozo sheets, Bozo everything. And he was using the television show as a marketing tool to promote the thing. And Harmon, meanwhile, was seeing what was happening in Boston: our ratings were going through the roof. He was having a little trouble with some of his other Bozos. The only other show that was even on a par with this was the one in Chicago. So he decided he could have a little more control and promote his Bozo merchandise by having one show and syndicating it. He came to Boston and we syndicated 130 half-hours. 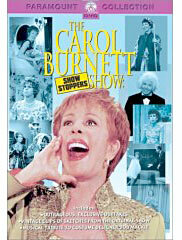 Out of 130 shows, he was able to get just 60 shows on DVD. The others had just deteriorated so badly. JB: To what extent was Larry Harmon involved? What ground rules did he have? Frank Avruch: Nothing. To be honest, we created the whole thing. [laugh] The only time he got involved was when he decided to syndicate. But everything that went on was our own doing. We’d have Riddle Time and audience participation and games and then we’d have a little segment with the puppets. And we’d bring in music with Judy Valentine. It was a variety show for kids, basically. And then we’d bring in guests: if anybody from the Ringling Bros. Circus was in town. Or somebody from the zoo, and animals from the Museum of Science – we’d have different segments all the time. It wasn’t scripted, per se, but we had the segments outlined and then it’s as if we flew by the seat of our pants every day. But whatever we did, apparently it just worked. JB: What were the first few episodes like, as you worked to create your character? Frank Avruch: I can almost liken it to Hallowe’en, when you wear a costume. You sort of lose all your inhibitions. ‘Cause I am, in real life, [laugh] nothing like Bozo the Clown. You have to be a little loose and uninhibited to do some of the nutty things that I did. But once I put on the make-up and got into the suit, I just became Bozo the Clown. I wanted him to be a happy guy, a nice guy, a good example for kids. Because kids imitate so you have to be a little more responsible of your actions and how you behaved. 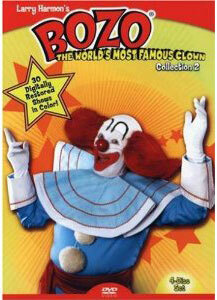 JB: You didn’t find that any aspects of Bozo began showing up in your own personality? Frank Avruch: Nooo, nooo, nooo! Because basically, I just don’t like to push myself right up into the front. 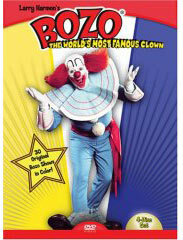 But Bozo is bold and is loud, completely different from my real personality. I was able to subdue my own personality to this thing. And as I said, I did this for 12 years. It was seven days a week, ‘cause on Saturdays and Sundays, there were all these personal appearances at parades and at all kinds of special events, that I would be in some times two and three a day. JB: So you were in make-up more often than you weren’t? JB: Were your sons Bozo fans? Frank Avruch: I think so. I had them on the show a couple of times. I think one of them, the older one, when he was about seven years old, wrote “My Father is Bozo the Clown” for Jack and Jill magazine. Frank Avruch: Well, Judy I had met a couple of times and she was married to a Boston disc jockey by the name of Sherm Feller. She was on a couple of days a week. She lived in Lynnfield, Massachusetts. Ed started in puppets primarily. This is Caroll Spinney – I called him Ed. I don’t know; somehow it was difficult for me to call him Caroll. [Ed was Spinney’s middle name.] I found him because he did puppets – and actually I’m trying to think. So, we hired him primarily for puppets. One of his more popular characters was Mr. Lion. 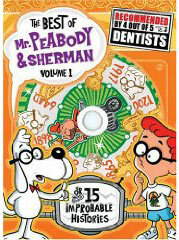 He was also a very talented cartoonist, so he came up with Mr. Lion, the fastest draw alive. I would call someone from the audience whose name was Sally. And he’d put Sally’s name on his drawing board. And in 30 seconds, Sally would be changed into a lion, a pussycat, or something. And we’d give these little drawings to all of the kids. But he was a wiz at doing that kind of thing. And Mr. Klank was just a guy who came one day to the show and he had this weird character he’d put together. And he’d never done any acting but I liked the idea. And we’d come up with these gimmicks; we’d tie it in with the holiday seasons, the different holidays. I was the producer and star. We’d have director Joe Carney, a couple of assistants: Donna Hennesey and – who else? One other person. And we had a secretary who would handle tickets. We became our little independent unit. 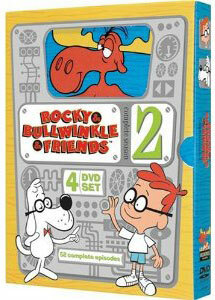 JB: Would adults sit in the studio audience with the kids? 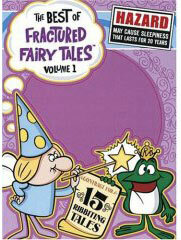 Frank Avruch: Well, first of all, you had to be at least four years old. ‘Cause keep in mind, when you watch on television it’s one thing. But when children see this larger-than-life character in person with the big orange wig and the big shoes and the bright collar, it’s a little frightening. So we had a routine: usher in the kids and parents had to stay in the back of the studio. Mr. Ringmaster would lead the kids in to sit in the stands. He’d do a warm-up and you could tell which kids were gonna be excited and which kids were gonna cry immediately and we would bring those kids back to their parents. How Did They Deal With Difficult Kids? What Was the Controversial Larry Harmon Like To Work With? ...and the guy who wrote the book on Bozo - Thomas Scott McKenzie - shares his insights on the real person behind the Bozo phenomenon! Kevin S. Butler writes: There were two more regulars on the syndicated version of The Bozo Show - Mr & Mrs. Carl & Ruth Carlson. Mr. Carlson played Prof. Tweetie Foofer, Coco The Clown, and one half of Zany Zebra. His wife appeared on the show as herself. Mr. Carlson, on a couple of shows, also appeared as himself performing with puppets and performing magic tricks.